Q: Can I borrow from my own self-directed Roth 401k? A: Yes you can, but because of the repayment complexity, most recorkeepers do not allow borrowing from a self-directed Roth 401k in their services. 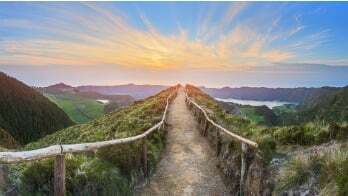 Q: Is there a limitation on the number of IRAs, Roths, 401Ks, SEPs or SIMPLEs that I can open? A: There’s no limit on the number of IRAs an individual can open. A 401(k) plans on the other hand, since it’s an employer plan, it is limited to one per employer. Q: How can I loan funds to an LLC that is a "flipper" -- buying, renovating, re-selling single family homes? A: An IRA can loan funds to a business as long as it doesn’t violate the prohibited transaction rules. Income received by an IRA that are derived from a trade or business may be subject to Unrelated Business Income Tax (UBTI). See IRS publication 990-T.
Q: Does Entrust allow an IRA to own an offshore LLC? Is the income realized from the asset taxed differently than if it were a domestic LLC? A: IRAs can hold ownership in off shore entities. Taxation of the income in the US will be handled just like any other investment held under and IRA. Treatment of the income by the foreign country will be different and not handled by Entrust. It is advisable to seek the assistance of a tax or legal advisor before proceeding with this kind of transaction. 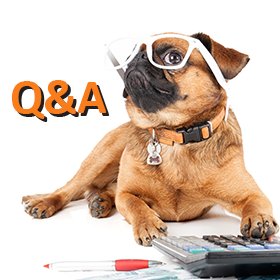 Q: Can I partner with my tax preparer if he is not a CPA? A: You can partner with any non-disqualified party. Q: I have a 50/50 partner in LLC "A". If I set up another LLC "B" for purposes of investing in real estate through a self-directed IRA, could I pay my partner from the other LLC "A" from LLC "B" for property management services he provides solely to LLC "B". Would he be a disqualified person? A: On the surface, as long as your partner does not have any ownership in LLC "B" and he is a non-disqualified party (e.g., family member) he should be able to perform services to an LLC without any conflict of interest. It is best to seek the assistance of a competent tax or legal advisor before proceeding. Q: If I buy a rental property with our IRA money, can I later pay back the IRA with funds from the sale of my existing home and then take possession of that home as my primary residence? A: You personally cannot buy a property owned by your IRA. On the other hand the property owned by the IRA can be distributed in-kind. Q: If I create a checkbook IRA LLC as a single member LLC, can I later convert it to a multi-member LLC? A: That would be a tax or legal advisor question. Q: If you represent the sale of your investment home, can you take a commission if it is reinvested in the IRA? A: If your IRA owns a property you sold, it would be a conflict of interest to receive a commission from the sale of the property. It would be best to have a third party sell the home. Thank you to everyone who participated in our webinar. 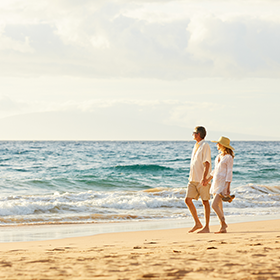 We encourage our readers to post any additional questions regarding self-directed IRAs or retirement planning in the comments section below. You can view the full recording of this webinar here to get answers to questions which are not listed in this article. Want to join us for our next webinar about tax-advantaded plans for small business owners? Find the details here.